Photo: A spectacular sunset along Highway 101 near Wilson Creek. // Snapped on a recent trip to the north coast of California to visit family. Welcome to 2014, my friends! 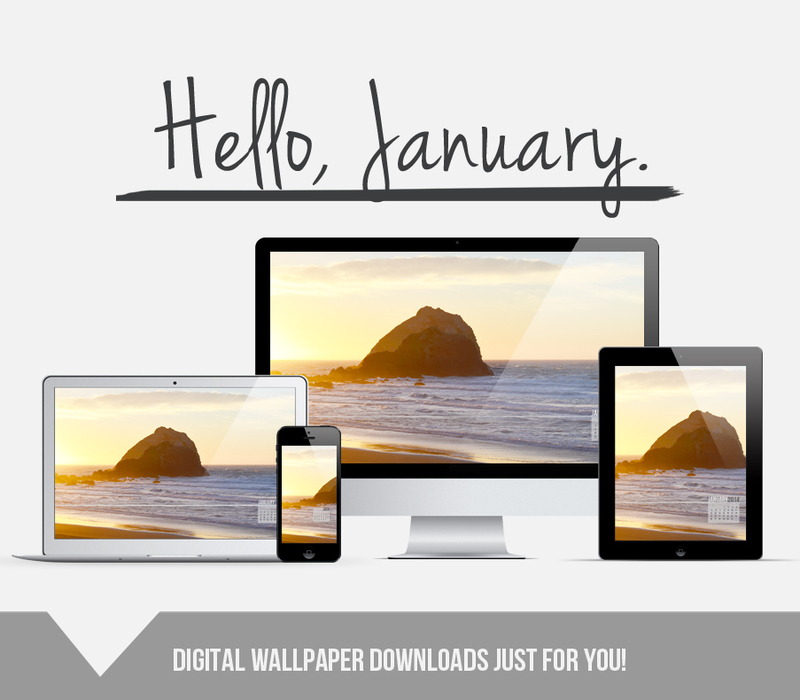 Since we've entered a new month, I wanted to offer up a set of January 2014 wallpapers for you to enjoy. Feel free to snag them by using the links above. I'm also feeling the need to jot down a few intentions and wishes for the month. These aren't really New Year's resolutions, but I'm hoping they'll get me heading in the right direction.